You can see here all the components involved in the work. Ph.D. and associate professor in the Department of Signal Theory, Telematics and Communications of the University of Granada (Spain) and member of Network Engineering & Security Group (NESG). His research interests are focused on computer and network security, with special focus on intrusion detection, ethical hacking, reliable protocol design, network information leakage and denial of service. 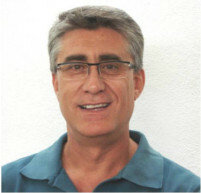 Ph.D. and associate Professor at the Department of Signal Theory, Telematics and Communications of the University of Granada (Spain) in the University of Granada and member of Network Engineering & Security Group (NESG). I teach in several networking courses for undergraduate and graduate students. My research is on data analysis, with especial focus on networkmetrics. For more information, please refer to my personal web page. "The data organizer & webmaster"
Ph.D. at the Department of Signal Theory, Telematics and Communications of the University of Granada (Spain) of the University of Granada (Spain) and member of Network Engineering & Security Group (NESG) research group. 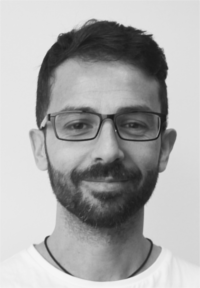 His research interests are focused on security aspects in heterogeneous communications networks, specifically on anomaly detection and response solutions with the aim of achieving survivable systems. Full Professor of the Department of Signal Theory, Telematics and Communications of the UGR, and head of the research groups Network Engineering & Security Group (NESG) and UGR Cyber Security Group (UCyS) of this university. His current professional interest is in the field of computer and network security, especially focused on anomaly based intrusion detection and denial of service attacks. I studied Informatics at the University of Salamanca (Diploma) and the University of La Coruña (BA). After joining the Research Group Robotics at the University of Salamanca, he presented his thesis work, “Parallel calculation configuration space for redundant robots”, receiving the Extraordinary Doctoral Award. He subsequently obtained the degrees of Bachelor in Communication Studies (University of Salamanca) and Bachelor in Humanities (University of Salamanca). 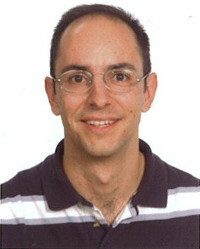 At the same University of Salamanca he continues to carry out his research work, as manager of VisUsal group (within theRecognized Research Group GRIAL) which focuses on the combination of approaches from computer science, statistics, Graphic Design and Information Visualization for obtain an adequate understanding of complex data sets. In recent years, he has been dedicated to developing advanced visualization tools for multidimensional data, such as genetic or paleo-climate data. 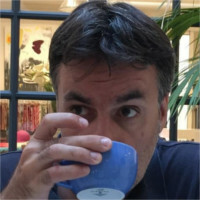 In the field of Visual Analytics he develops productive collaborations with groups and institutions internationally recognized as the Laboratory of Climate Sciences and the Environment (France) or the Austrian Academy of Sciences (Switzerland). He is the author of over 90 articles in international journals and conferences.